Children’s squeals and laughter compete with the buzzing cicadas overhead. The playground—hidden by shrubs and trees at the park’s far end—hums with activity. It’s a humid August evening. The line at the nearby ice cream shop snakes around the building. Ice cream, August, and a playground means families. Mine sits together, absorbing it all from this park bench. Roger’s bench. A sudden, insistent clang warns of an approaching train. A moment later, the smell of diesel and the engine’s roar fill the air. Brakes screech. 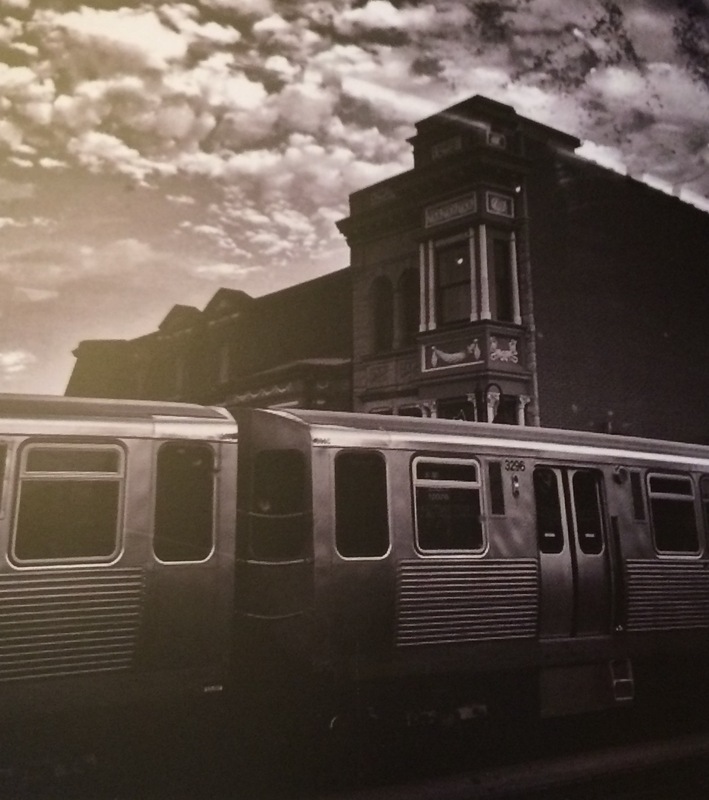 The train huffs to a stop. Commuters disembark. I smile. Roger’s bench sits here for that very reason. To watch the trains go by. My sister and I clink plastic cups camouflaging our wine. We toast. We reminisce. We watch our daughters’ faces as they replay their favorite Uncle Roger moments. We giggle. We cry. We share things we miss. Laughter erupts at something he would say or do. Then we sit together in companionable silence, watching children play in the grass and hearing the train pull away from the station. We sit with the feeling and remembering and honoring of a man we love so deeply. And yet, it’s okay, too. The hot, jagged grief of a few months ago has softened a bit. I’d rather not be huddled on this commemorative bench. I’d rather he be with us. Yet the shattered edges of loss feel less sharp. Less… broken. There is a Japanese art form called Kintsugi. Translated, it means golden joinery. It’s a method of repairing cracked or broken pottery with a golden lacquer, emphasizing the seams rather than hiding them. The repair ensures something shattered becomes mended. The item remains useful. Yet Kintsugi admirers and followers agree the piece becomes more valuable and more interesting with the embellished repairs. 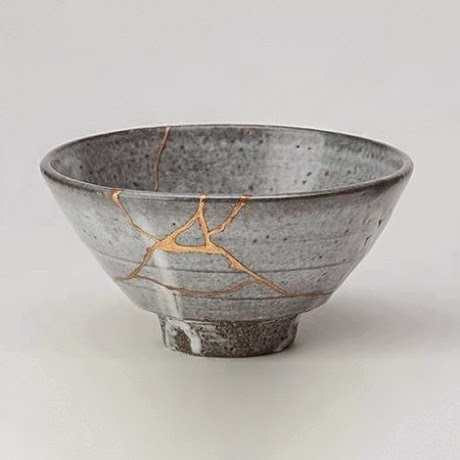 Kintsugi highlights the beauty of brokenness. It illuminates the cracks. Celebrates the jagged pieces. Imagine that! Jagged, broken parts become mended, celebrated, and valued. How does that look like in my life? How would it look in yours? Heartache, loneliness, suffering, grief, deception—whatever cracks open our most desperate, vulnerable places—holds beauty. Usefulness. These are the most human of experiences. The most difficult to accept, certainly, yet they are the most pure and truthful. And they are beautiful. Kintsugi reminds me sharp edges aren’t meant to be discarded or denied. They’re meant to sink in to my soul. Fuse into my being. Transform me. Galvanize what’s crumbling. 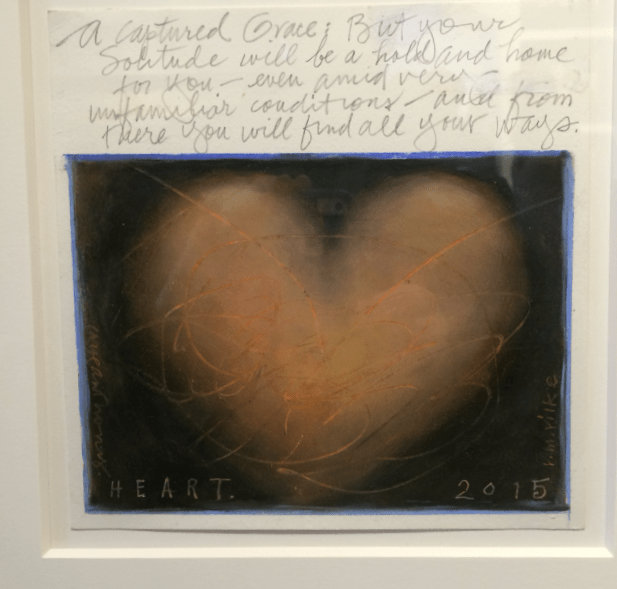 Strengthen the cracks and fissures. Fortify me. Things are different now that Roger’s gone. My sister lost her beloved, and their kids an amazing father. I lost a brother-friend who endlessly encouraged me, and my girls a playful, loving Uncle. Everyone who knew Roger lost. He was a bright sunbeam of a man. 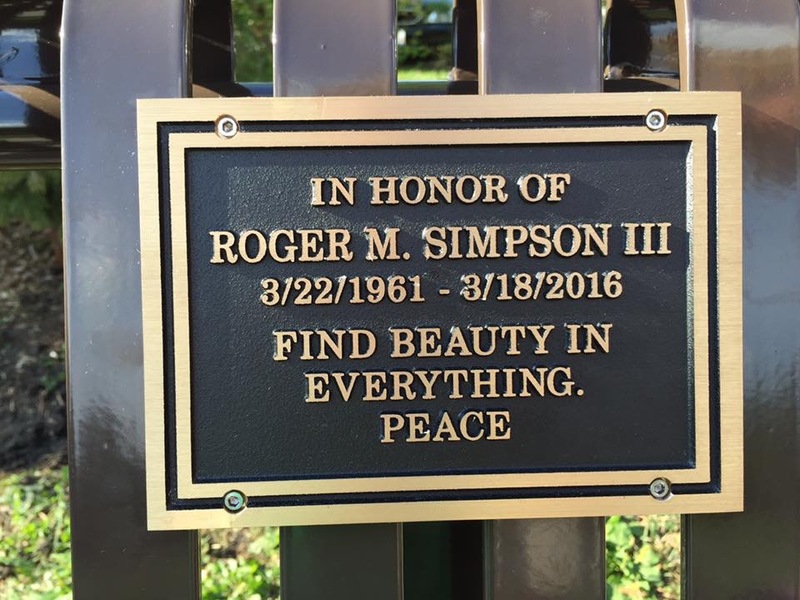 Yet here we sit on a peaceful summer evening, six of us gathered on this iron bench, gently sharing our love for Roger. Finding beauty in everything, even the stuff that hurts. And like a prized piece of Japanese porcelain, we stitch together the fractured pieces, knowing that once mended, we become something far more beautiful for having been broken. Thank you, Katie. You captured Roger and Pam’s spirit perfectly. I can’t imagine one without the other. Wow, Katie! I love the image you conjured up from, “Kintsugi reminds me sharp edges aren’t meant to be discarded or denied. They’re meant to sink in to my soul. Fuse into my being. Transform me. Galvanize what’s crumbling. Strengthen the cracks and fissures. Fortify me.” That’s an image I shall remember. Thank you. I am sorry for your family’s loss.